Located in Historic Downtown, Three Rivers Art Center (TRAC) is the perfect place to stop for a sampling of the local art scene. TRAC Art Center hosts workshops and classes and the Gallery carries works from members of the Three Rivers Art Center. Located in historic downtown Farmington, inside the Art Center. 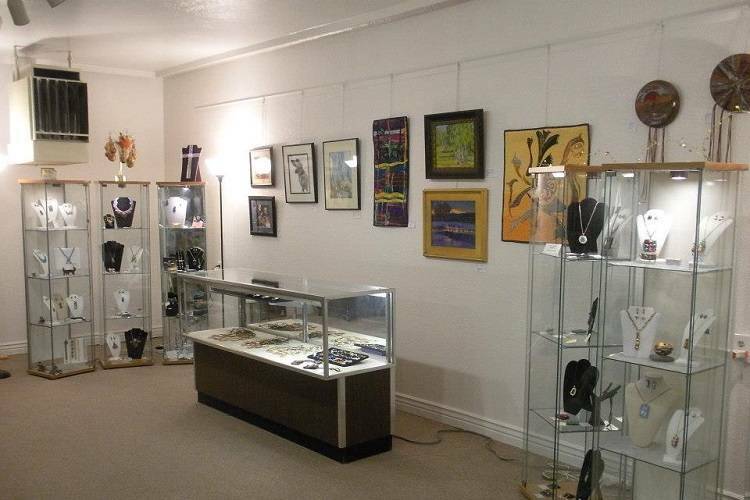 This gallery carries works from members of the Three Rivers Art Center providing a diverse array of locally made works, from unique fiber arts, jewelry and glasswork to intricate beading, pottery and colored pencil drawings. There is something for everyone, and all price ranges, at TRAC Gallery. Hours are Wednesdays - Saturdays from 10:00 a.m. to 6:00 p.m. The TRAC Art Center provides workshops, classes and outreach in related business practices and creative art to members, other organizations, and the community at large. The TRAC Art Center includes a library, classroom and gallery. Through meetings and classes, TRAC members have the opportunity to explore other media, share their expertise and learn basic business practices to help ensure their individual success.